Well, we’re being all festive here at CSGOBetting.com. With the ESL ESEA Pro League Finals starting this Thursday December 10th, we thought we’d hand out an early Christmas gift to one of our lucky Twitter followers. It won’t be delivered by Gaben in a santa costume (what a scary thought that is) but will be in someone’s Steam stocking on December 18th. To enter, just scroll down to the bottom of this post. We’ve now launched our Twitter and Facebook (click the links to follow and like us!) social media accounts and want you all to join us there so we can keep you informed as to the latest and greatest CSGO Betting opportunities, free bets and offers that are available. Forget CSGO Lounge, and come and join one of our partners who offer fully licensed and regulated CSGO betting. We even offer reviews of bookmakers who offer CSGO betting. The knife skin (a Butterfly Knife | Crimson Web MW) itself is worth around £165 on the Steam Marketplace and we’ll also be throwing in two AK | Vulcan MW’s that are worth around £20 each to two runners up. How do you get your hands on the prize? You can enter below. Follow the simple actions for your chance to win the knife! You’ll receive 1 entry for re-tweeting and another for following us on Twitter. Should you sign up to one of our betting partners you’ll receive up to 5 additional entries for each one. Get yourself signed up to take advantage of the generous free bet offers, especially considering the ESL ESEA Pro League is just around the corner. Karamba – 100 FREE CASINO SPINS + £200 bonus. 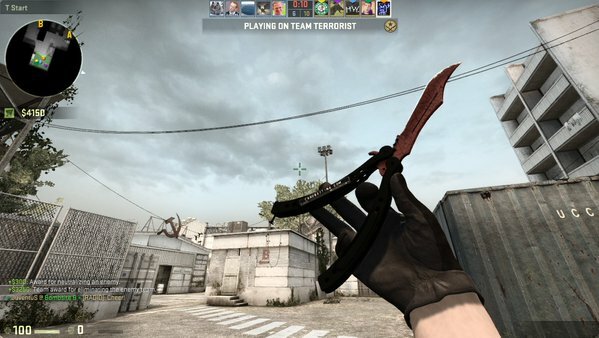 Signing up through our competition will give you more chances to win the lovely CSGOBetting.com branded Butterfly Knife! Our outright ESL ESEA Pro League Season 2 Finals tips will be available shortly. As a sneak peek, we’re backing Na’Vi and Luminosity! CSGOBetting.com Butterfly Knife Crimson Web MW Giveaway!